How Did Carlos Slim Make His Fortune? So How Did Carlos Slim Become the World’s Richest Man? When I’m asked how tycoons make their fortunes the One Red Paperclip story often comes to mind. If you are not familiar with it it’s the one about a man who started a chain of Craig’s List barter trades with a red paperclip and ended up with a house. It took him just 10 or 12 trades to accomplish this feat. Tycoons apply the same basic principle to building wealth although the mechanism is not quite the same. Both stories are about building wealth through incremental improvements in the value of assets over time. It’s the opposite of trying to strike it rich with just one deal. Think of the differences as those between a football team that wins because it has a strong ground game consistently moving the ball down the field instead and one that relies on the occasional “Hail Mary Pass” to win. In the paper clip story, the man committed to doing small transactions that brought about incremental improvements in his asset position in order to see how far it would take him. I doubt that he had any idea that it would ultimately lead to a house. His initial motivation was most likely to have some fun and meet new people. Similarly, tycoons commit to a long term plan for accruing wealth by wheeling and dealing in companies because they enjoy the work. It’s about the journey not the destination. However, instead of trading one company for another as with the paperclip story, they leverage the cashflow from the first to acquire the second. Then the larger combined cashflow is leveraged to acquire a third company and so forth. At some point the entire portfolio may be sold off for a huge pay day or kept for the cash that it throws off. If we look at the Carlos Slim strategy for wealth creation it can be seen to follow this basic principle. However, Carlos used cashflow producing businesses instead of paperclips. In addition, he didn’t stake everything on building up just one company. Rather he adopted a growth strategy based on both accumulating many business over the long haul as well as diversification. To demonstrate this, let’s take a look at his history. 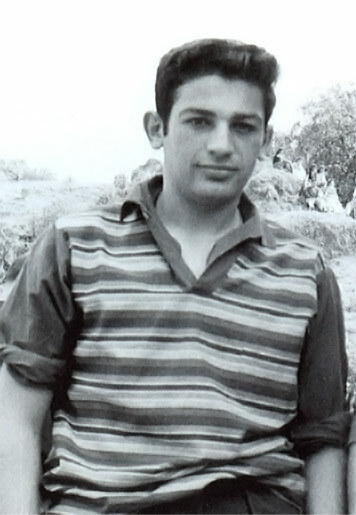 Carlos Slim in his early 20s. Let’s begin with a quick biographical recap for context. 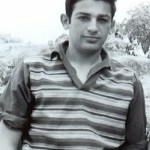 Carlos Slim was born in 1940. After entering university to major in Civil Engineering he was hired to work as a part-time faculty member teaching algebra and linear programming to undergraduate classes. After university, at the age of 25, he started his first company Inversora Bursátil. This company then made its first acquisition within a year: Jarritos del Sur. At this point he named the portfolio “Grupo Carso,” whose name is a combination the first letters of Carlos’s name and that of his new bride Soumaya. This was 1965. At this point the Carlos Slim express train began to slowly pull out of the station. It would then pick up speed and momentum steadily. Two years later, in 1967, Carlos founded two more companies. Promotora del Hogar, S.A. became a residential real estate company, while GM Maquinaria engaged in the buying, selling, and renting of construction equipment. More growth followed through the 1970s with additional acquisitions and startups. With the acquisitions one can see a pattern emerging. Carlos likes to buy up troubled companies and fix them with the introduction of more efficient operating systems and various cost savings strategies. He then dips into their improved cash flow to finance the acquisition of more such assets. By 1980 we are starting to see the emergence of the Carlos Slim empire. The group is by now well-diversified and active in mining, tobacco, construction, retail, and food. All the while Carlos Slim is hoarding his cash and cultivating political connections that should pay off some day. In 1982, the big returns started to roll in. Mexico’s economy had collapsed the previous year and everyone was selling in a panic. Well everyone that is except for Carlos Slim who finally unlocked his cash box and commenced an epic buying spree that provided him with significant stakes in large Mexican corporations as well as the domestic divisions of huge multinationals such as General Tire, Reynolds Aluminum, Bimex Hotels, Sanborns, and others. In the second half of the decade he acquired yet more businesses in copper, aluminum, and chemicals. By the end of the decade, Carlos’s empire had attained a critical mass and he was officially a national juggernaut. In 1990 Grupo Carso went public with its shares eventually trading in a number of countries. 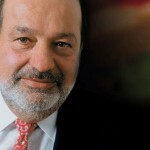 In 1990 Carlos Slim pulled off the deal which gave him international stature. He formed a consortium with Southwestern Bell and France Telecom to acquire Telmex from the Mexican government. This acquisition would turn out to be one of the most important contributors to his ultimate rise to the top of the Forbes billionaire list two decades later. By 2006 Telmex owned 90% off all landlines in Mexico and had 80% of all cellphone accounts. 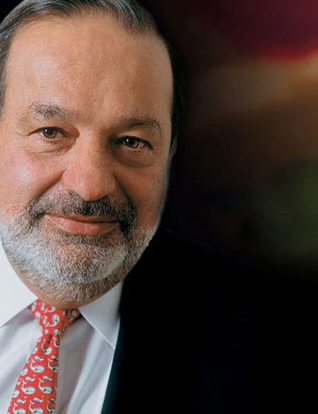 After the Telmex acquisition, Carlos Slim had officially attained tycoon status. His growth with acquisitions strategy continued on throughout the 1990s and 2000s. Today Mexicans joke that it’s impossible to go through a day without putting some money in Carlos’s pockets due to the degree of diversification in his portfolio. The Helu empire has substantial interests in food, telecom, banking, tobacco, mining, chemicals, retail, real estate, and much more. Some critics have attempted to devalue Carlos’s Slim’s accomplishments by making that claim that he was the beneficiary of good luck when he found himself in a position to acquire Telmex and other large companies during times of economic turmoil. This argument disintegrates quickly when you remember that for 15 years prior to the acquisition of Telmex Carlos Slim had been working hard at building up his little empire, hoarding cash for a a rainy day when others would be selling in a panic, and cultivating the political connections that would open the door to bargains. When you consider these points his success seems far more like the result of hard work, a long-term vision, and pragmatic networking than mere luck. If it had been mere luck, some undeserving nobody could have won control of those assets in a lottery type giveaway. In the Internet Age the online entrepreneurs who quickly made a fortune by just building up one website which then “went viral” get almost all of the media attention. As a result it seems that few people under 40 even realize that there is another path to wealth that is more proven and which has produced far more billionaires than the Internet. If you want to build something great and leave a legacy behind but can’t do code, there’s hope for you. Carlos Slim is one of the best examples of someone applying the tried and true “tycoon playbook” approach to wealth creation. Have you got what it takes to use his tactics and strategies? 2 Responses to How Did Carlos Slim Make His Fortune? I had to look that paperclip story up to make sure it was real. It is! Slim (NYT) Bezos (WP) both are low level implementors of free energy/antigravity/teleportation Suppressed tech. beings who control this tech control planet earth.